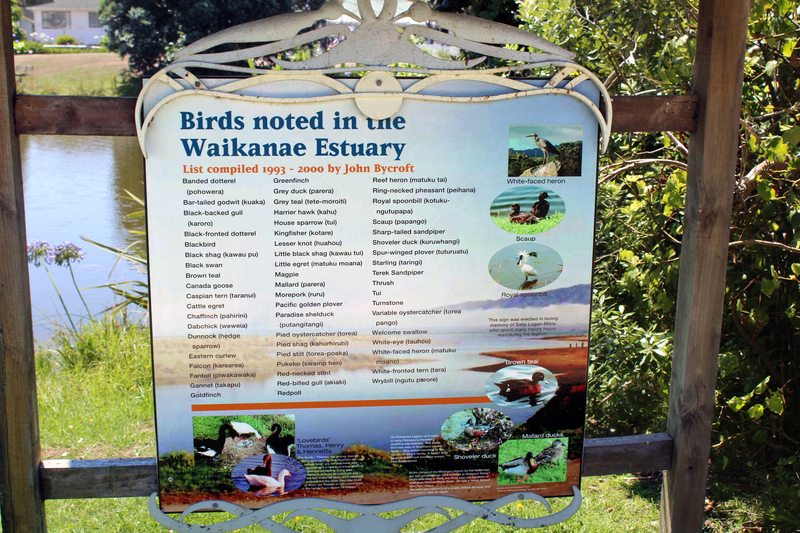 This display board lists about 60 species that can be seen in the estuary and the Waimanu Lagoons. And while on the subject, the KCDC has warned people to keep pets away from dead birds in or near waterways, and not to touch carcasses, after a pair of swans died from suspected avian botulism. The cases were reported at the Waimanu lagoons, immediately north of the Waikanae Estuary.